The Baronet Superb divan, hand made with care to the highest standards by generations of master craftsman on the banks of the river Tamar for nearly 120 years. Baronet Superb is the second option in our range of Vispring mattresses. This slightly firmer feeling mattress provides you with restful sleep night after night and with an added layer of extra durable horsehair you'll find it more substantial than the Elite mattress before it. 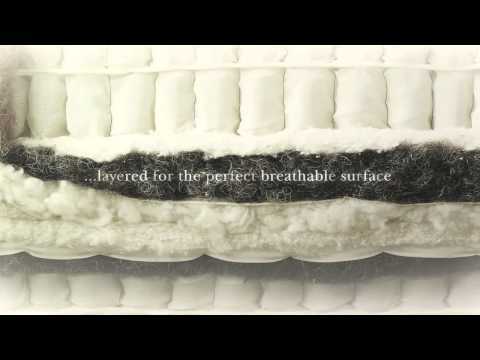 The super quality of materials used means this mattress will provide you with years of trouble free sleep. The Baronet Superb mattress has been designed to rest perfectly on the Vispring Deluxe pocket sprung divan base. This sprung divan base helps the mattress springs work to their full potential giving you the best comfort and support possible. If this is the divan bed for you then be sure of some fantastic service from this leading manufacturer.